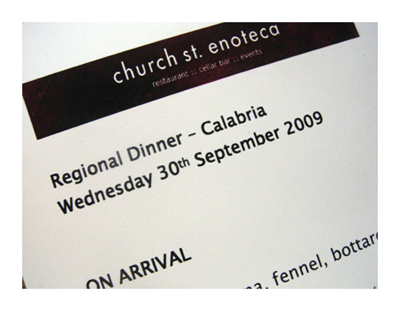 It's the second in this series of Italian Regional Dinners held at Church Street Enoteca and this time we're here to enjoy the food and wines of Calabria. I haven't a photo of the starters that were served as we waited to be seated but I can tell you that it was a combination of raw yellowfin tuna, shaved fennel and bottarga served on a spoon. 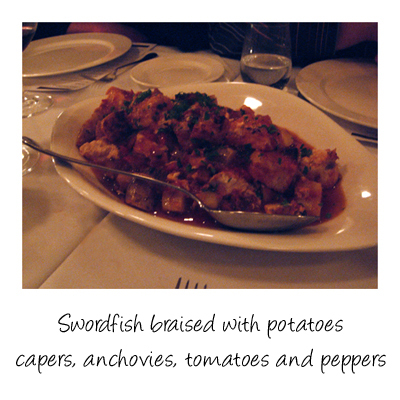 It was accompanied by glasses of Prosecco Marca Oro Extra Dry. 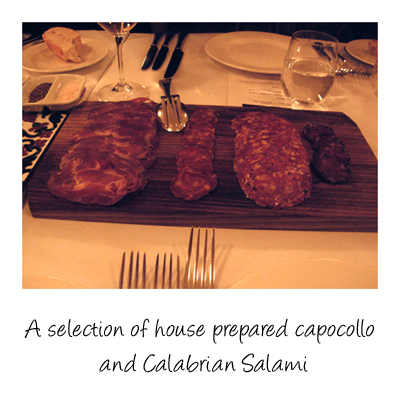 From left to right, Capocollo, spicy fennel salami, calabrese salami and pig blood sausage. We were all really impressed by the flavour of the blood sausage and quite taken by just how good it was. Lasagne layered with pork, artichoke, mozzarella and peas with a fresh tomato passata. 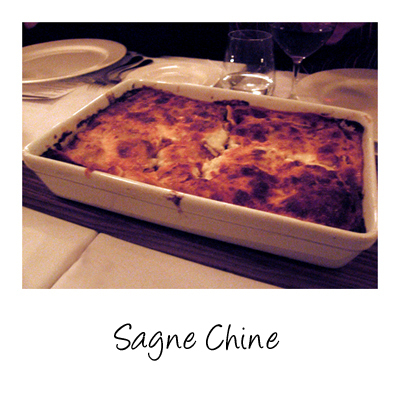 If there was a shrine to lasagne you'd be kneeling there worshipping this one - it really is that good. A lovely rustic dish - particularly loved the texture of the swordfish and the way it had absorbed all those beautiful flavours. 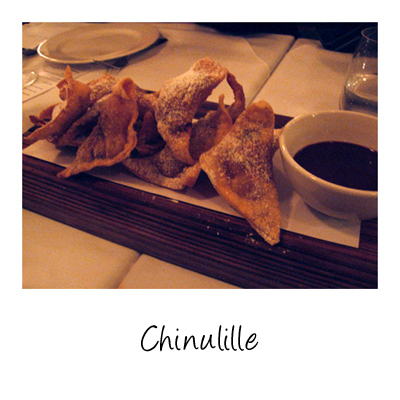 Chinulille are fried sweet ravioli filled with chocolate, chestnuts, candied fruit and nougat and were served with a chocolate sauce for dipping. Do I really need to say that they were delicious?